Lorena ‘Rene’ Seekman of Otsego passed away Thursday, August 29, 2013 at her home. Rene was born October 13, 1938 in Parchment to Clayton and Ethel (Taylor) Warner. She was very artistic and in her leisure time enjoyed painting, water colors, pencil drawing, ceramics and had a great sense of humor. Rene was employed as a cook at Pipp Hospital in Plainwell where she worked for several years. She is survived by her husband of 10 years, Stanley Seekman; her children, Annie Staton, Debbie Moore, Danny Tyrie, Deanne, Kelly Northrop, Laura Ferrara; 9 grandchildren, Katy, EliMae, Hannah, Danny Jr., Mary, Jacob, Jaqueline, Alex and Wally; a sister, Lila (Lynn) Rake of Wayland; several nieces and nephews. 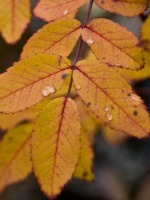 James G. Pishlo of Alamo Township, Michigan passed away Thursday, August 29, 2013 at his home. James was born June 1, 1966 in Trenton, the son of John ‘Jack’ and Nancy (Rowe) Pishlo. He graduated from Southgate High School in 1984 and lived most of his life there. James enjoyed computers, science fiction and playing the tuba. He was a member of the Downriver Community Band. On August 24, 1996 in Kalamazoo, he married Ami Fowle, who survives. Also surviving are his father, Jack of Kalamazoo; 1 sister and 2 brothers, Robert (Trisha) Pishlo of Wyandotte, Kari (Richard) Hendrikson of Livonia, Thomas Pishlo of Gainesville, FL; a sister-in-law, Dakota Pishlo of Portage; several nieces and nephews. He was preceded in death by his mother in 1983 and a sister, Amanda Driver in 2008. Cremation has taken place. A memorial service will be held on Saturday, September 7, 2013 from 2 to 6pm at the P L A V, 963 Oak St., Wyandotte, MI. Phyllis J. Schreuder of Howell, MI (formerly of Otsego) passed away Tuesday, August 27, 2013, in Howell. Mrs. Schreuder was born December 31, 1923 in Otsego, Michigan, to Dorace and Vivian (Knoblock) McKee. For many years she was employed as a secretary with the Otsego Public Schools, retiring in 1979. 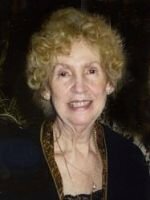 Phyllis was longtime member of Otsego United Methodist Church and enjoyed working on church fundraisers and committees. On May 24, 1947 she married Harm Schreuder, who passed away in 1997. Surviving are her son and daughter-in-law, Thomas J. and Ida Schreuder of Brighton. Funeral Services for Phyllis will be held at 2:00 P.M. Tuesday, September 3, 2013, at Winkel Funeral Home, Otsego, with Pastor Joe Shaler officiating. Burial at Mountain Home Cemtery, Otsego, will take place at a later time. Contributions in memory of Phyllis may be made to the Alzheimer’s Association, 350 E Michigan Ave #20, Kalamazoo, MI 49007. 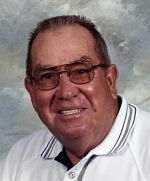 Roger W. Brenner of Otsego, Michigan, passed away Monday, August 26, 2013, in Kalamazoo. Mr. Brenner was born March 1, 1950 in Plainwell to Paul and Marian (Zienstra) Brenner and was a lifelong resident of the area. During the Vietnam War he served his country in the U.S. Army. For over 30 years he was employed with Lifesavers Candy in Holland, retiring when the company closed. In his leisure time he enjoyed gardening and watching sports, especially the Lions and Tigers, and going to Las Vegas and other casino trips. Roger had coached several of his sons’ baseball and basketball teams. On September 29, 1973 he married Becky Morgan, who survives. Also surviving are two sons, Chad (Dawn) Brenner of Allegan and Jason Brenner of Otsego; two grandchildren, Hayley and Donavan; three siblings, Pauline Hines of Georgia, Maynard (Jenny) Brenner of Wayland and Karen Shea of Plainwell; several nieces and nephews. Friends may visit with Roger’s family from 2 to 4 and 6 to 8 P.M. Friday, August 30, 2013, at the Winkel Funeral Home, Otsego where a funeral service will be held at 11:00 A.M. Saturday, August 31, 2013, Bill Rose celebrant. Burial will follow at Mountain Home Cemetery, Otsego, with Military Honors by V.F.W. Post #3030. In lieu of flowers, contributions in memory of Roger may be made to the National Kidney Foundation of Michigan, 1169 Oak Valley Dr., Ann Arbor, MI 48108. 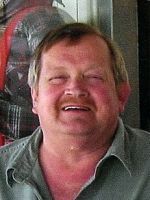 Paul A. Petersen of Otsego, Michigan, passed away Friday, August 23, 2013. Paul was born December 18, 1949 in Kalamazoo to Robert and Louwina (Dykehouse) Petersen. For 30 years Paul had been employed with Meijers and for 15 years with Parker-Hannifin. Paul enjoyed golfing, his dog and tinkering. He loved being with his family, friends and especially his grandchildren. Surviving are his wife Ann Marie (Gilligan) Petersen; a daughter, Sheila (Mike) Howard of Quakertown, PA, a son, Todd Petersen of Plainwell; 4 grandchildren, Jacob, Ryan, Samantha and Tim; 4 brothers, Russ (Genevieve) Dykehouse of New Mexico, Robert (Georgia) Petersen of Kalamazoo, Dave (Kathi) Petersen of Kalamazoo, Dennis (Karen) Petersen of Vicksburg; brother-in-law, Jim (Carleen) Gilligan of Plainwell; several nieces and nephews; special friends, Bernie and Deb Deaton, Glenn and Kim Merica and countless other friends. A memorial visitation will be held Wednesday, August 28, 2013, from 4 to 7pm at the Winkel Funeral Home, Otsego. In lieu of flowers, memorial donations for Paul may be made to St. Jude Children’s Research Hospital, 501 St. Jude Place, Memphis, TN 38105. Birl Sparks of Plainwell passed away Thursday, August 22, 2013 at his home. Birl was born March 30, 1936 in Salyersville, KY the son of William and Bessie (Whittaker) Sparks. 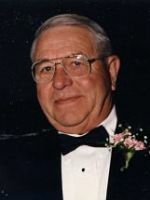 For many years he was a self-employed timber buyer and had worked at Parker-Hannifin in Richland. In his leisure time he enjoyed fishing, shuffle board, his home in Florida and his family. On April 21, 1973 he married Betty Lou Hayes who survives. Also surviving are their children, Gordon (Jackie) Stineback of Otsego, Gail (Floyd) Harmon of Mendon, Sandy (Steve) Harmon of Allegan and his children, Katherine (Randy) Franzose of ME, Sheri Sparks of Flint, Diane Plair of Wayland, and Douglas (Michelle) Sparks of Grand Blanc; 7 grandchildren and 16 great-grandchildren; his siblings, Helen Woods of Albion, Marylee Birman of Albion, Andy (Carole) Sparks of Otsego, Myrtle (Larry) Guess of Plainwell, Pauline (Lonnie) Drewyor, Bonnie (Jay) Beagle of Otsego, David Sparks, Bill (Chris) Sparks of Plainwell and Carl (Linda) Sparks of Otsego. He was preceded in death by his father Will, his mother Bessie and a brother Lonnie Sparks. Friends may meet with Birl’s family from 2 to 4 P.M. Sunday, August 25, 2013, at the Winkel Funeral Home, Otsego where a Funeral services will be held at 11:00 A.M. Monday, August 26, 2013, Pastor Mike Risner officiating. Burial will follow at Oakhill Cemetery, Orangeville. Contributions in memory of Birl may be made to American Cancer Society or Wings of Hope Hospice. Kenneth ‘Otis’ Bisel of East Lansing, Michigan, passed away Monday, August 19, 2013. Ken was born September 27, 1968 in Lansing to Robert and Loreen (Bollinger) Bisel. In 1986 he graduated from Lansing Eastern High School and for many years had worked at Leo’s Outpost. He enjoyed playing cards with friends, hunting, fishing and playing golf. The loves of his life were his labs, Sammy and Jake. Surviving are three brothers, Chris (Charlene) Bisel of Lansing, Kevin Bisel of West Chester, OH and Craig (Wendy) Bisel of Otsego. A memorial luncheon will be held on August 31, 2013 from 2 to 5 P.M. at Leo’s Outpost, 600 S. Pennsylvania Ave., Lansing, MI. Contributions in memory of Ken may be made to Capital Area Humane Society, 7095 W. Grand River Ave., Lansing, MI 48906. Marion A. Cutts of Otsego, MI passed away Friday, August 16, 2013 at her home. 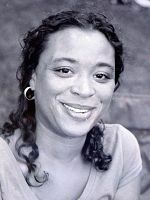 Marion was born February 27, 1973 in Grand Rapids, MI the daughter of John and Pamela (Stephenson) Ezeh. Marion enjoyed reading, watching movies, singing and listening to music. She worked for Allegan Co. ISD before becoming an Administrative Assistant for Hopkins Public Schools. Marion is survived by 2 sons, Jordan Cutts of Otsego and Justin Cutts of Lansing; 2 siblings, Bobby Adams and Joyce Mason both of Grand Rapids; and her grandmother, Joyce Stephenson. She was preceded in death by her mother Pamela Reed. Cremation has taken place. A memorial service will be held on Saturday, August 24, 2013 at 11:00 A.M. at Winkel Funeral Home, Otsego with Pastor Ted Koehl officiating. Those desiring may make memorial contributions to an educational scholarship fund her sons.